MY HERO ONE’S JUSTICE Coming to PS4, Xbox One, STEAM, and Nintendo Switch this October! MY HERO ONE’S JUSTICE, the 3D arena fighting game based on the popular Weekly Shonen Jump® manga and anime franchise, will launch in the Americas this October for the PlayStation®4 computer entertainment system, Xbox One, PC via STEAM®, and Nintendo Switch™. 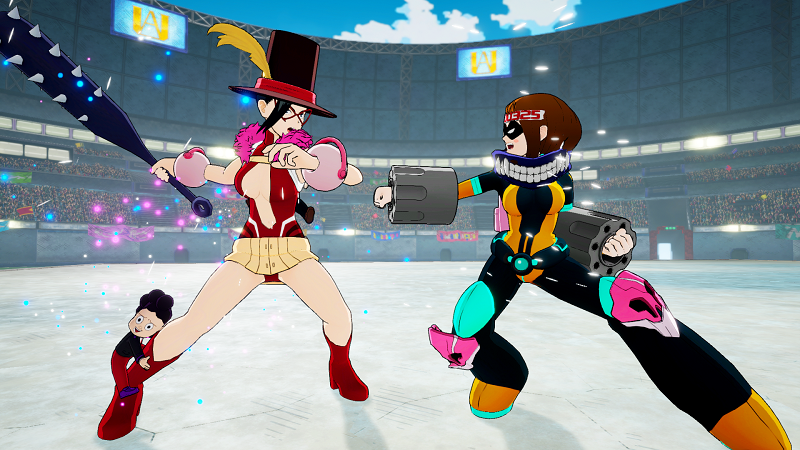 MY HERO ONE’S JUSTICE enables players to form three-person squads made up of their favorite U.A. High students, such as Izuku Midoriya, Katsuki Bakugo, and Tsuyu Asui. 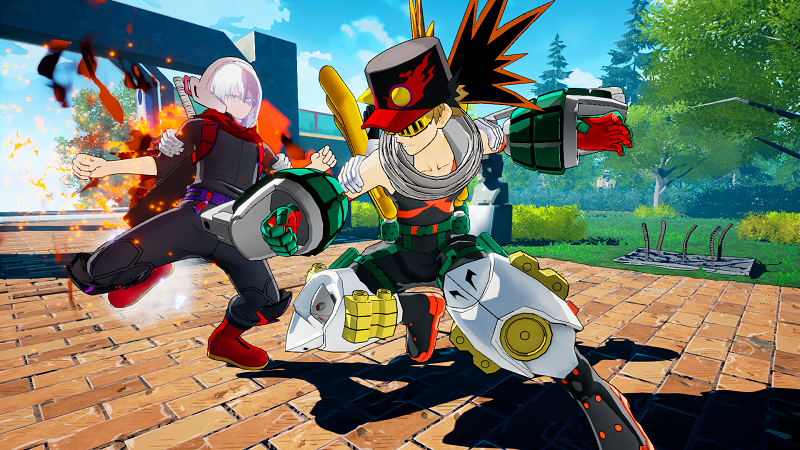 Squads can also include Pro Heroes, such as All Might and Eraserhead, and villains, such as Stain, Dabi, and Himiko Toga, all fighting for their ideals in over-the-top three-dimensional, environment-destroying battles. Each squad consists of one primary fighter and up to two sidekicks, mirroring how Pro Hero teams are often structured in the anime. During combat, fighters can call upon their sidekicks, as well as utilize their signature Quirks (the defining superpower of every hero and villain), to land explosive combination attacks to turn the tides of battle or finish off an opponent. 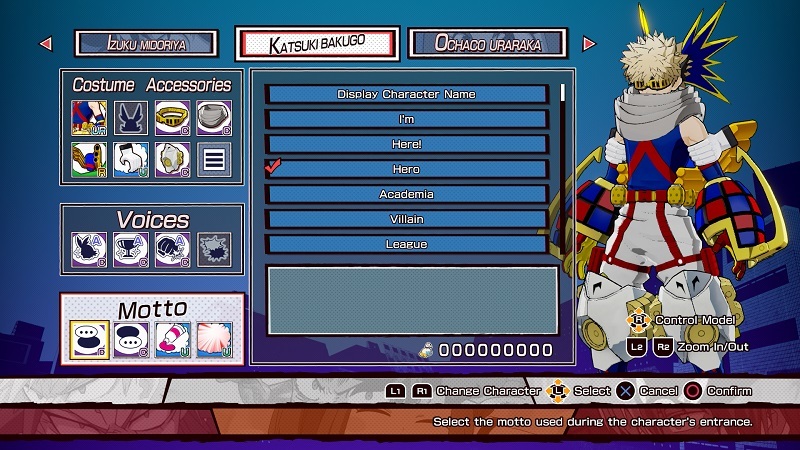 As each character’s Quirk and support attack is unique, and can be executed on the ground, in the air, or even on buildings, MY HERO ONE’S JUSTICE affords players the opportunity to “GO BEYOND” like only the MY HERO universe can. 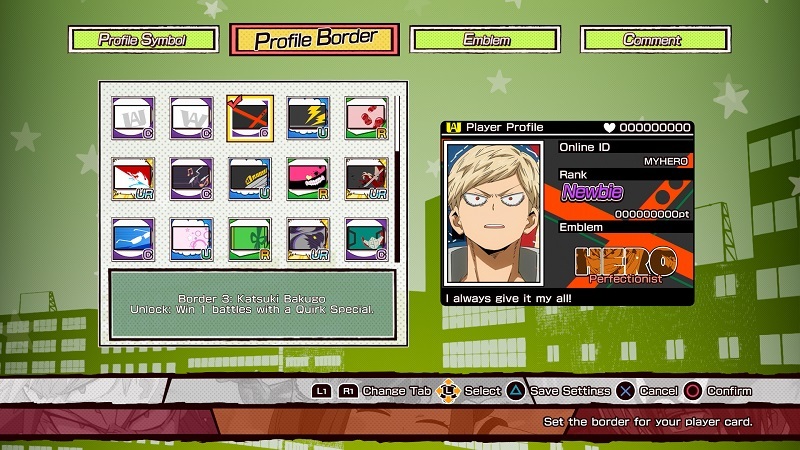 MY HERO ONE’S JUSTICE enables players to live the anime and gives them the chance to play through character-defining moments from the anime and from game-exclusive original scenarios in Story Mode. After clearing the story from the hero’s point-of-view, players unlock Villain Mode, where they will be able to play through the story from the villain’s perspective. By completing these missions, players can unlock items for their characters, making them even more powerful. Players can choose to play online and battle other players to hone their skills and become a worldwide hero. Posted in Bandai Namco, New, Nintendo Switch, PS4, Steam, Xbox OneTagged My Hero One's JusticecommentLeave a Comment on MY HERO ONE’S JUSTICE Coming to PS4, Xbox One, STEAM, and Nintendo Switch this October!